It’s finally ready! 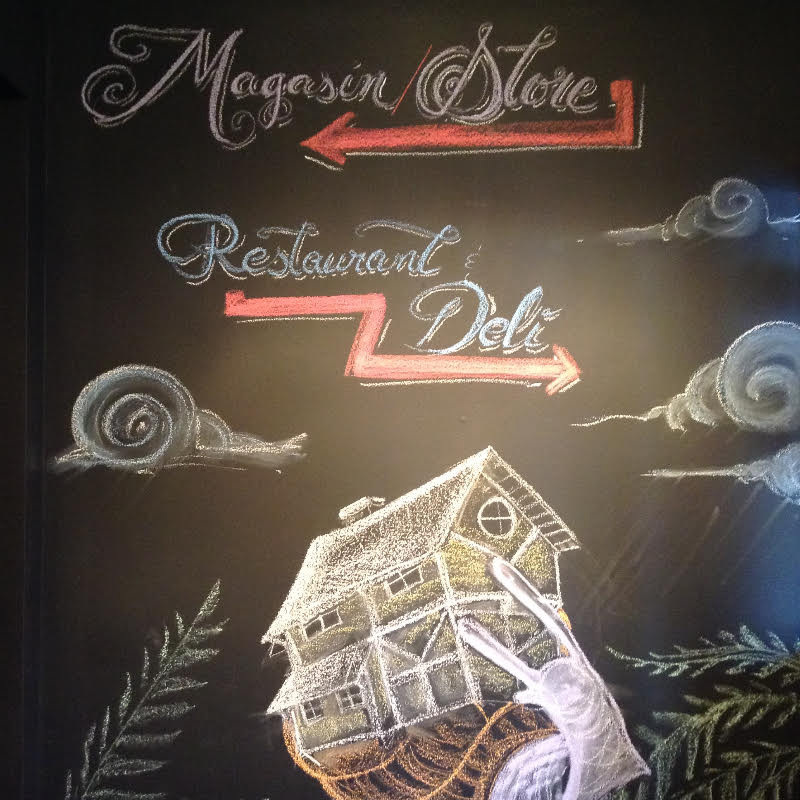 Regulars were both surprised and intrigued this past fall when Les Fougères owners, Charles Part and Jennifer Warren-Part, closed down the restaurant to embark on an extensive renovation of the rustic French eatery in the Gatineau Hills. A total gutting of Les Fougères saw the owners add a homey hearth oven, giant windows, and a stunning curvaceous bar. The updated Les Fougères, at once both relaxed and more sophisticated, reopened just before Christmas, showcasing new menu items to complement the new vibe. 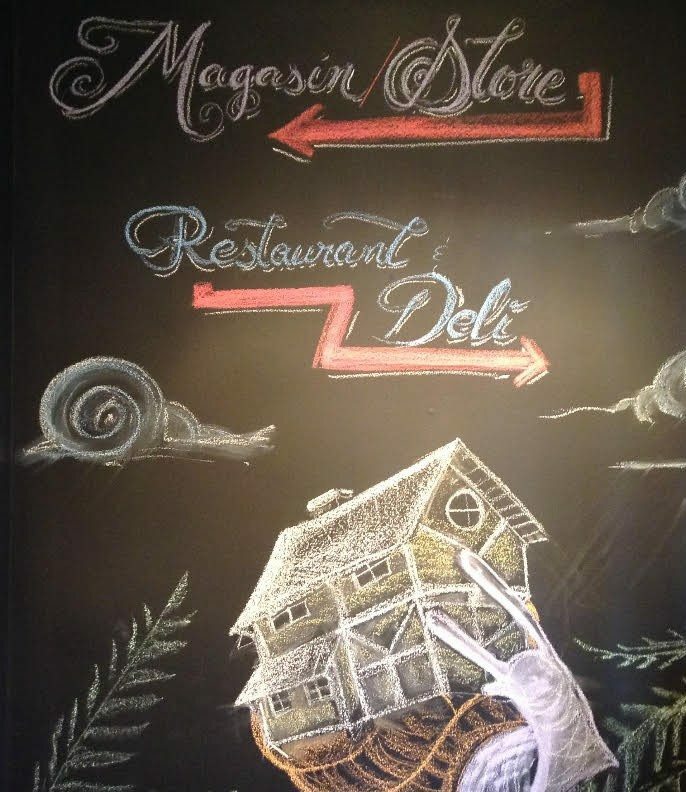 As guests enter the restaurant, a sign lets them know to go left for the store and right to visit Les Fougères restaurant, as well as the new deli and take-home counter. 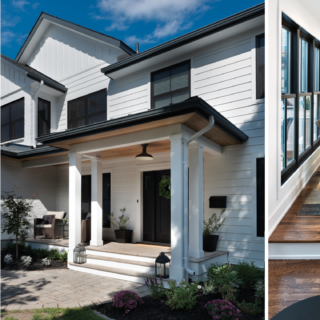 Why the decision to renovate? Charles: We’ve been around for 23 years and know that the way people eat is changing. People want a high level of service, but at the same time they want everything to be more relaxed. Jennifer: Things can’t stay the same forever. We’ve always made changes as we go along. We added the store; we added the artisanal production kitchen. This past year, it felt like the right time to switch things up —to do what we needed to do to keep things relevant and fun and vital. Tell me how the restaurant’s layout has changed. Jennifer: We’ve expanded the store into the front room of the restaurant. Charles: Yes, one of the big changes is that the front part of the dining room has now been taken over with more fresh foods to take home. That’s a part of the business we’re definitely expanding. 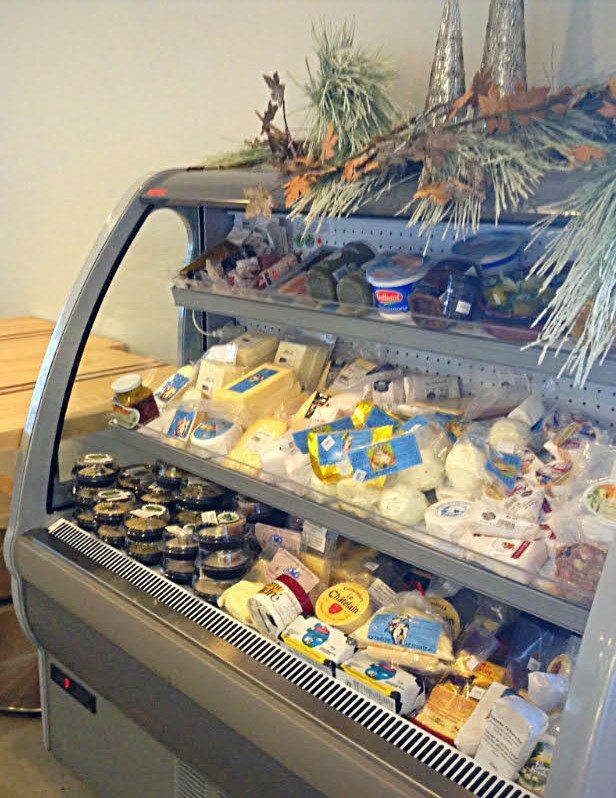 The entrance to the restaurant now boasts two large fridges filled with cheeses, charcuterie, and other take-home items, encouraging people to stop in to buy some dinner on the way home. So if you don’t want to eat in, there are more prepared foods available? Jennifer: The store [which is attached to the restaurant] has long been filled with prepared foods, but much of our products are frozen. 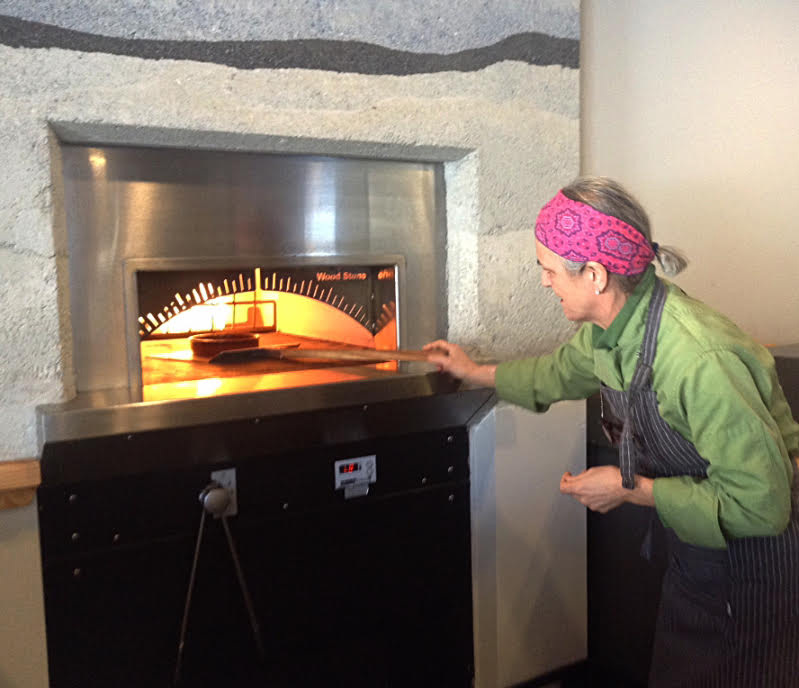 With the expanded store and the hearth oven, we can include more fresh and hot options at the second store within the restaurant —you can stop by and pick up foods that have just come right out of the oven. So a lot more options for people wanting to pick up something delicious on their way home? Jennifer: Exactly. 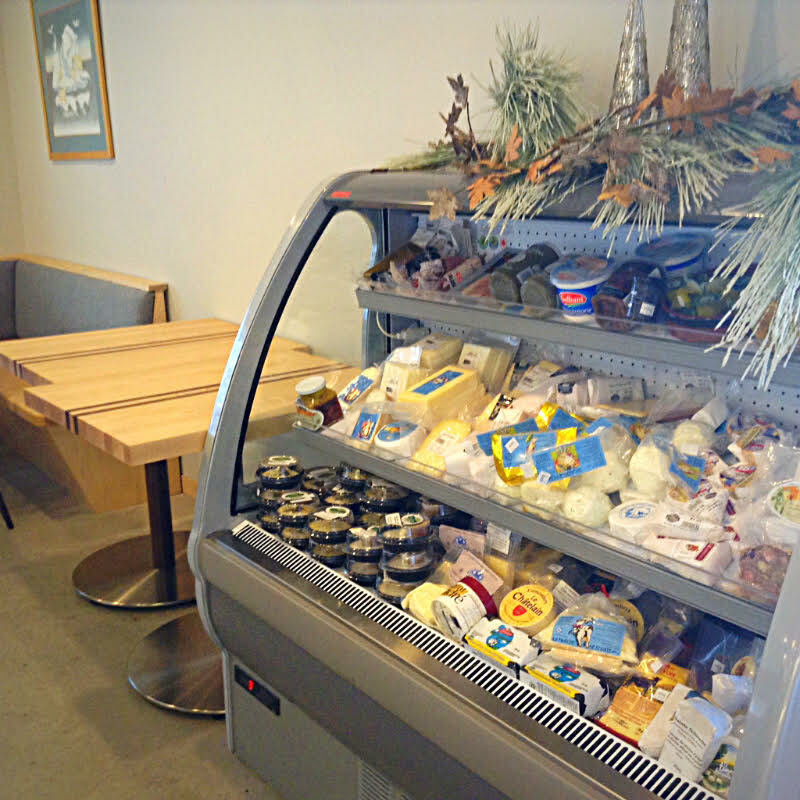 We’re also expanding the range of charcuterie, cheeses, and bread. Charles: It will be great for the neighbourhood. Does the expanded store mean a smaller restaurant? Charles: Slightly smaller. 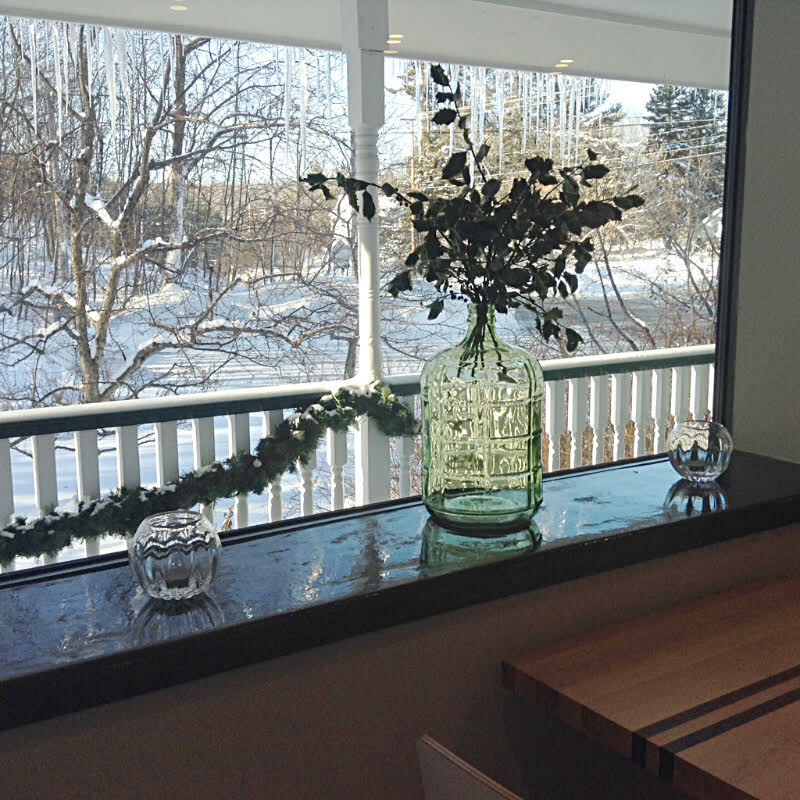 We were at 65 seats and the renovated Les Fougères has 50 seats — 44 seats in the resto and 10 at the new bar. The smaller resto allows us to control the quality even better. 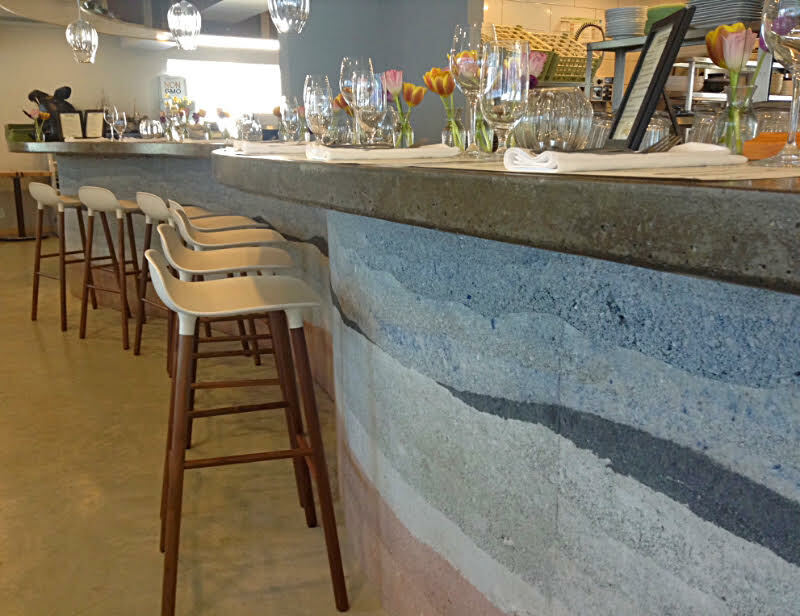 The curvy new rammed-earth bar was inspired by the undulations of the Gatineau Hills that surround Les Fougères. The bar is a real showstopper. 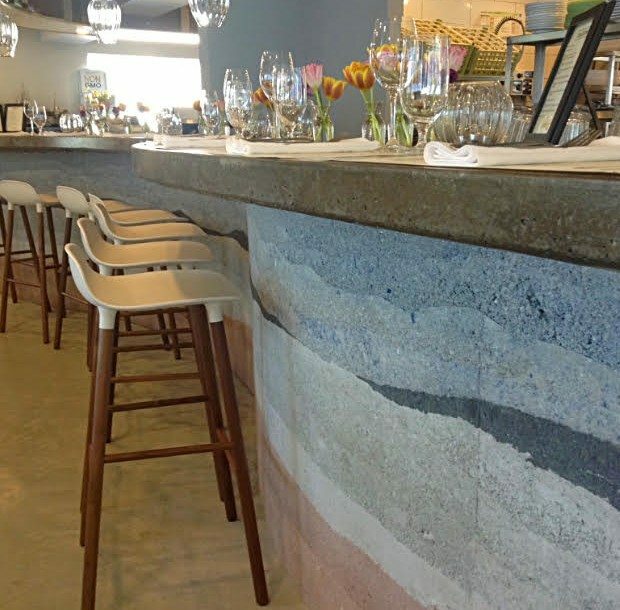 Charles: Yes, it’s a concrete top that has been given the rammed-earth treatment. The curves, plus the shades of pink, white, grey, and a little bit of blue play off the Gatineau Hills. Tell me about the new open kitchen. Jennifer: It’s beautiful! 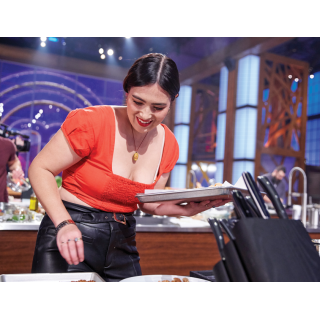 The big, curvy bar looks into the new sparkly kitchen so guests can sit at the bar, order a little plate of charcuterie or a bite of gnocchi — whatever they want — and watch the chefs at work. Charles: We want people to realize that if they’re driving by and it’s -30, they can just stop in on the way home from work for a bite to eat. They don’t have to go home, shower, get changed, and get back in the car again. Just pop in on the way home! In other words, people don’t have to feel Les Fougères is a special-occasion-only kind of place. Jennifer: Right on! That’s exactly it. Being considered a special-occasion place is wonderful, but it doesn’t encompass all that we do. 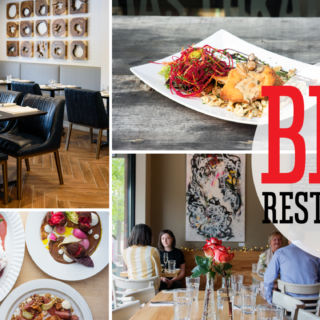 We want to offer a really relaxed atmosphere where guests know they’re still going to get great food. 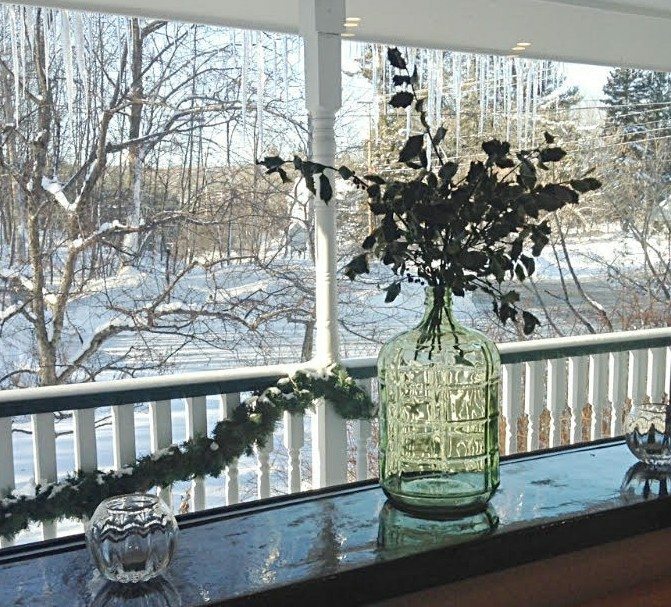 New, larger windows allow guests to enjoy spectacular views of the wooded property around Les Fougères. Tell me about the rest of the dining room. Jennifer: We’re most excited about the fact that – apart from the bar – all the other sides of the restaurant are now wall-to-wall windows. Everyone has front-row seats to every little change of light and change of season in this beautiful setting. Even a snowstorm will be gorgeous. You’ll be safely inside and watching the snow [fall] in the woodlands. It will be a great place for life to unfold. And who’s in the restaurant kitchen? Jennifer: Chefs Yannick Lasalle and Matthew Pritchard are in the kitchen —they are very passionate and talented professionals, so to see their talent unleashed in this new space will be fabulous. Charles and I are still very involved with the evolution of the menus, but we’ll be even more involved with manning the hearth oven, the charcuterie deli, and the production kitchen. Tell me about the restaurant menu. Charles: The philosophy behind the menu is not changing, but the format is, which really feeds into the more relaxed feel we’re trying to offer. Jennifer: Almost all our dishes now are offered as a small plate or as a main course, so you can come with friends and build your own menu with 8-9 small plates, or just have one small plate, or opt for the more standard app-main-dessert way of ordering. Any last thoughts now that the stress of the renovation is over? Jennifer: It’s a fabulous renewal for all of us! 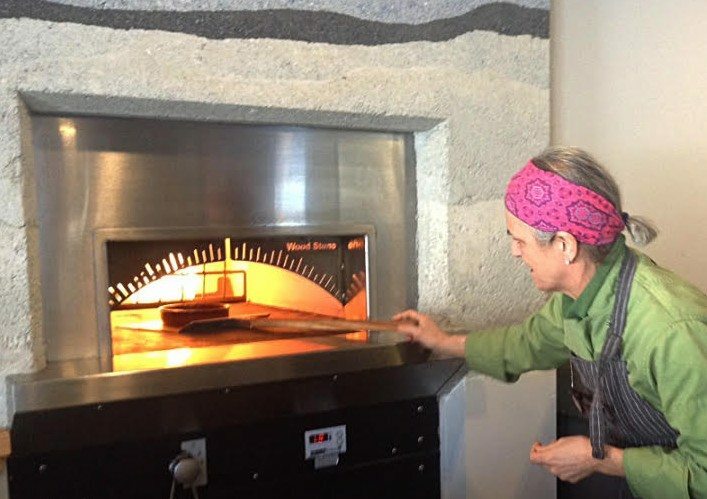 Jennifer Warren-Part demonstrates the new hearth oven that welcomes visitors as they enter the restaurant. Staff have been experimenting with everything from pizzas to breads to cassoulets.